Hey guys, I have a problem with my blog entries on my website... 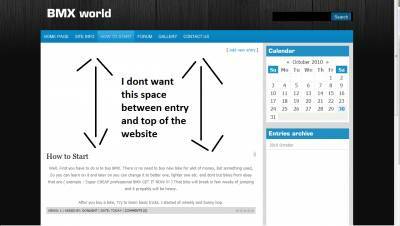 When I add a entry there is a massive space between old entry and a new. I want to get rid of that. please help me. Here is the screenshot. Please help me with this... Donught. oh yeah, it should be in module templates. Oh my GOD ! Yess... Thank you Acid. I'll give you award for that Thanks..